The definitive anthology spanning from 1948-2014, complete with new poems, from multi-award winning Dannie Abse, one of Britain's most well-respected poets. This is the collection of a lifetime's work from one of Britiain's best-loved poets. Dannie Abse has published an array of work including fiction, autobiography and plays but he is best known, and critically acclaimed, as a poet. Dannie Abse collects together here the definitive jewels of his cannon. This volume comprises both a distinguished collection of his past work and a generous selection of new poems. 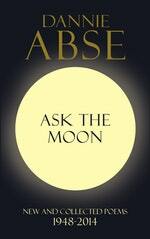 Love Ask the Moon? Subscribe to Read More to find out about similar books.